In 2006 I published the novella Under the Graying Sea in Asimov's Science Fiction Magazine. It received some pretty good reviews, was a runner up for the 2007 Hugo, and #4 on Asimov's novelette poll. I'm now working on putting about a dozen of my best stories, including Graying Sea into a Kindle collection. Keep tuned. I'll have word on it soon! 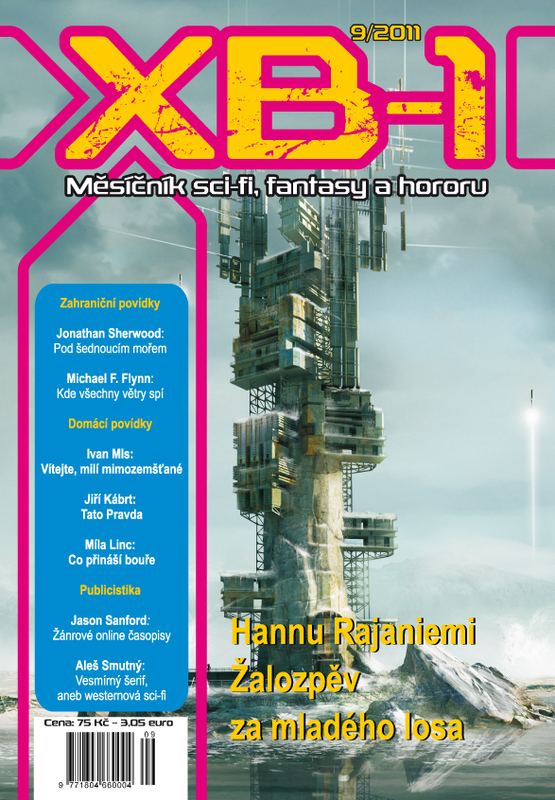 Under the Graying Sea in XB-1 in the Czech Republic About a year ago I gave permission for "Under the Graying Sea" to be translated into Czech and published in a magazine in the Czech Republic called XB-1. Then I forgot about it. Today I was looking through my Google+ feed and found that the magazine just printed "Sea" a couple of weeks ago. Now I have to ask my Polish wife to read it to me.